Betty doesn't need humans to get her salad for her. I have been waiting for Cotton to figure that out himself. 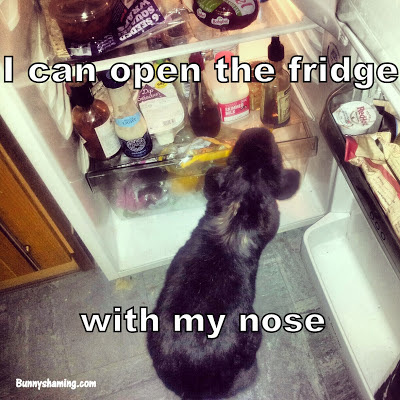 I had no idea that bunnies were so darn smart, but I love it.